Download a free PDF sample here! 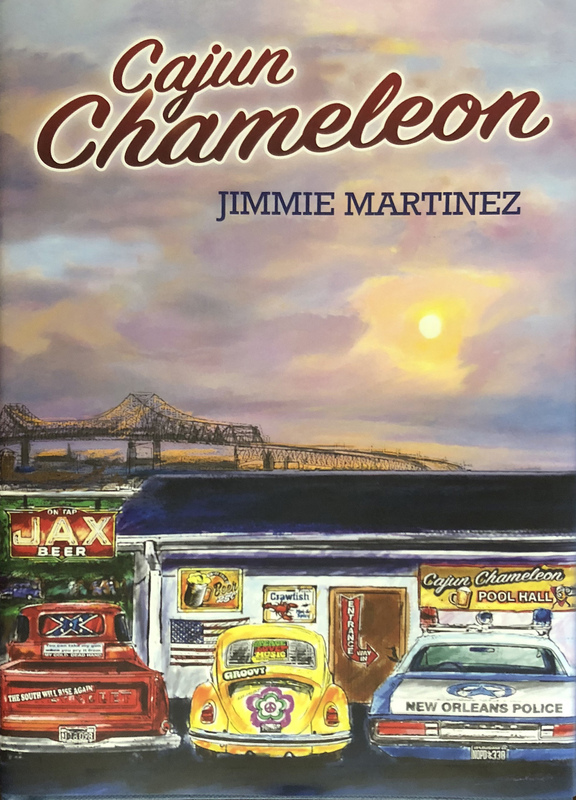 Governor Edwin Edwards says, "Masterfully written, Jimmie Martinez captures the true essence of life in the 60’s in Southern Louisiana. He tackles controversial subjects and tells of struggles in a way that draws you in allows you to feel what many of us felt at that time. As a former 4 term Governor, the longest serving Governor in the history of LA, and a Cajun boy I highly recommend this read." Raised in 1960 segregated South, NOLA-born, Jax Badeaux believes separate is equal. But when his Indian cousin is demeaned for being a redskin and his best friend is revealed to be black passing for white, his social conscious awakens. From the canal dividing the all-white Florida Projects in New Orleans where he lives, from the all-black Desire Projects, to the French Quarter arcade that only admits whites, his childhood is marked by demarcation lines that socially and legally mustn’t be crossed. As he becomes an adult, the specter of prejudice continues to shape his life. He attends Louisiana State University in New Orleans, his first desegregated school, where many students manifest prejudice. Later, taking a job as a New Orleans Police Officer, he finds himself paired with a black officer who suffers the horrifying effects of discrimination. Eventually, Jax finds a way to combat prejudice in his personal and professional life. Like the chameleons he caught as a child, he changes colors, adapting himself and his existence to what he knows is right. Spiced with the flavor of simpler times when TVs were black and white and Southerners looked at people that way. Cajun Chameleon is one part memoir, another part social comment on the historical South’s seamier side, and one person’s struggle to be free of both poverty and prejudices. - - Kernan “Skip” Hand, La. State District Judge, retired. - - Aaron Broussard, LSUNO Graduate 1970 and UNO Alumni of the year 2009. $23.95 with free ground shipping! Need a 10-pack for your club or store?